Worldwide ceremonies are being hold to mark one year since more than 200 girls were abducted by militant Islamist group Boko Haram in Nigeria. A procession is being held in the capital, Abuja, with 219 girls taking part to represent each missing girl. The abduction of the girls in Chibok in north-eastern Nigeria sparked global outrage, with nations such as the US and China promising to help find them. There have been sightings of the girls reported, but none has been found. Boko Haram say the girls have converted to Islam and been married off. 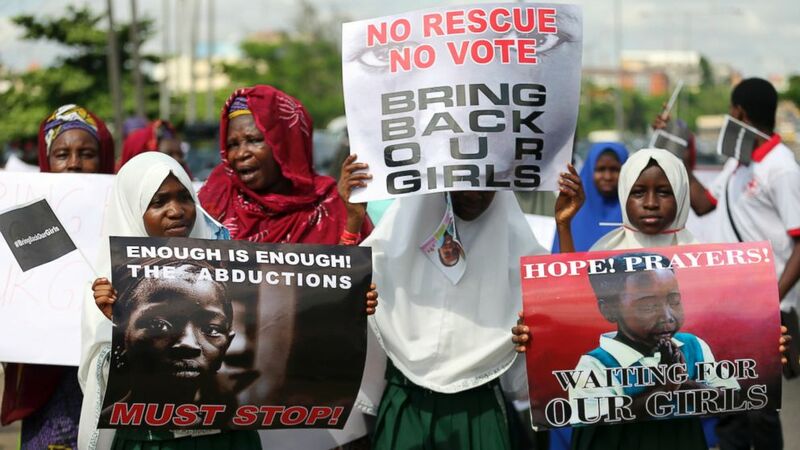 High-profile figures such as Nobel Peace Prize winner Malala Yousafzai and First Lady Michelle Obama were among those who drew attention to their plight on Twitter last year under the #BringBackOurGirls hashtag. Since then, the activists who began that campaign have spoken of relatives’ anguish at still not knowing what happened to the girls, and have criticized the Nigerian government of outgoing President Goodluck Jonathan for not doing enough to find them. Nigeria’s incoming president, Muhammadu Buhari, said his government would “do everything in its power to bring them home” but said he “cannot promise that we can find them”. The six-year Boko Haram insurgency in the north has left thousands dead. Amnesty International say the militants have abducted 2,000 girls and women since the start of last year, using them as cooks, slaves and fighters.